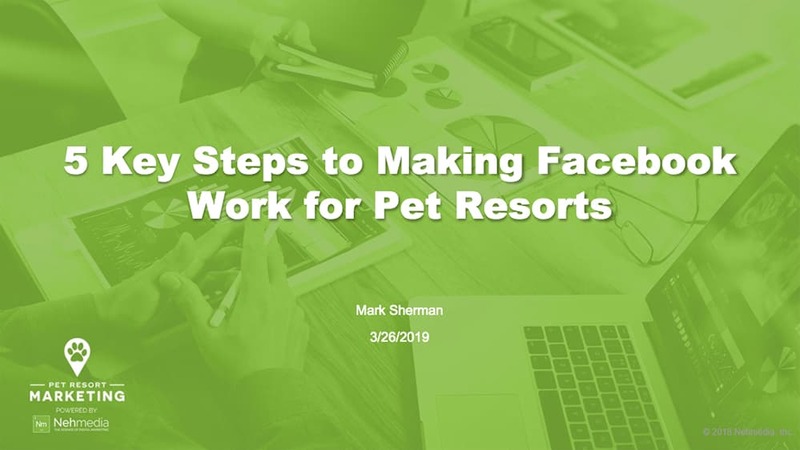 5 Key Steps to Making Facebook Work for Pet Resorts from Nehmedia Team on Vimeo. Facebook is an important tool to reach pet parents in your community. Learn how to build followers and target pet parents so you can grow your pet resort business.